Carlos, Luka and Albert are three friends and culinary chefs who trained at some of the world’s best restaurants. Together, they decided to open Restaurant Nolla in order to change the restaurant industry and do what they love with a good conscience. The idea of a zero-waste restaurant was born out of their frustration in the wastefulness of the restaurant industry. They strongly believe that the contemporary waste management practices of the industry are outdated, and want to do something about it. This is why they started Restaurant Nolla (‘zero’ in Finnish) – the first zero-waste restaurant in the Nordic countries. They offer experiences based on the best, local and organic produce, without waste. 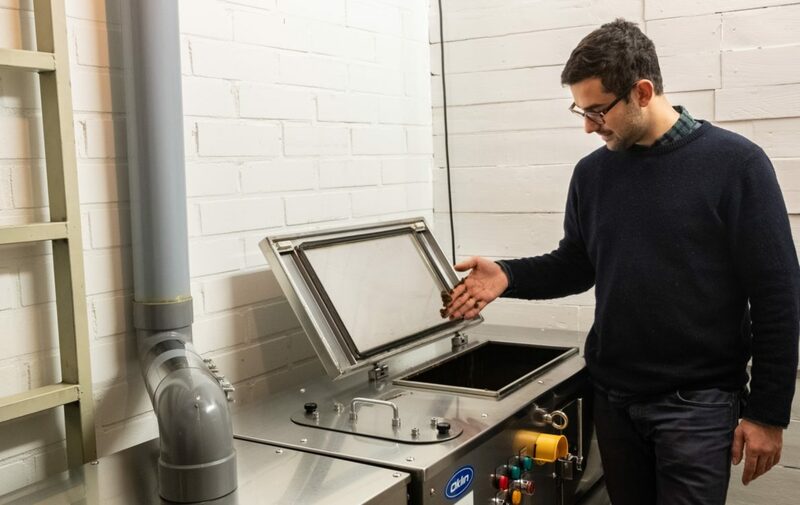 Restaurant Nolla has Oklin’s GG10s on-site, and all food waste generated from the kitchen and front of house is collected, separated and emptied into the composter at the end of the night. In 24 hours, the food waste is converted to compost, in which Nolla offers their clients to take home, while donating the rest of the compost to small-scale local producers who provide seasonal ingredients. Apart from composting at their restaurant, Nolla also participated at Helsinki’s Christmas Market – Tuomaan Markkinat, bringing with them the compost created from their restaurant as well as other delicious homemade food! Nolla brings their zero waste concept to Helsinki’s Christmas market! Nolla doesn’t just avoid waste at their own restaurant, they continue to do so in events they participate in! 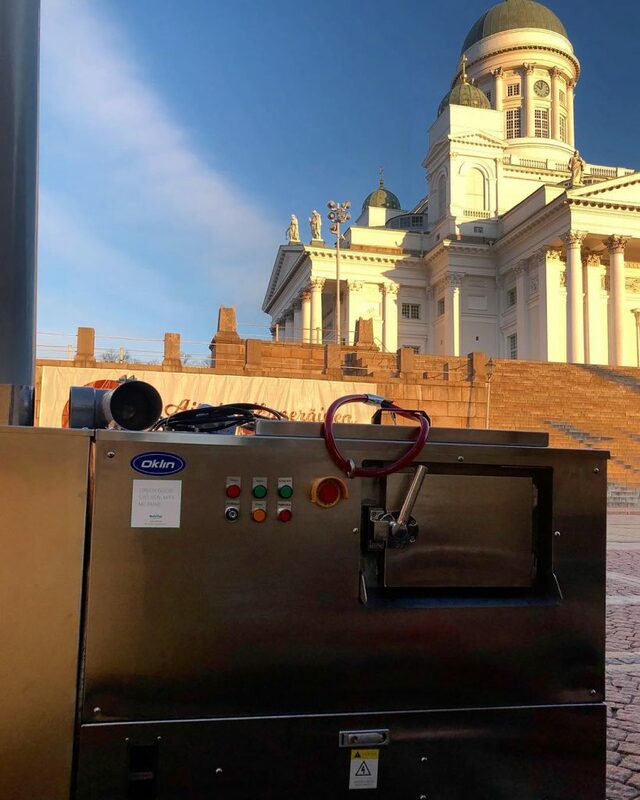 During Taste of Helsinki, Nolla brought 2 of Oklin’s smaller food waste composting machine to continue their zero-waste initiatives! 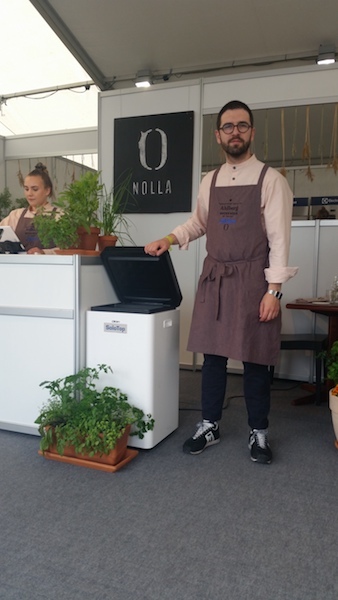 During this gourmet restaurant festival, Nolla made sure that any food waste generated at their tent was composted. Nolla brings their commitment to zero waste everywhere they go, including at the Taste of Finland event! Read more about Nolla’s Zero Waste Ideology here.